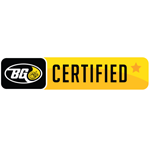 BG Products, Inc., introduces Service Advisor Training website | BG Products, Inc.
WICHITA, Kan.—June 7, 2012—BG Products, Inc., introduces BG Certified Service Advisor Training. BG Certified has completed its beta test period and is already getting powerful buzz from satisfied service managers who are seeing the results of a strategic training program for their service advisors. BG Certified features short video segments to demonstrate customer benefits, interactive diagrams and realistic role play scenarios to teach service advisors what they need know to better communicate a consistent, credible message about the importance, the methods, and the rewards of proper automotive maintenance with BG products. BG Products is determined to help automotive professionals give their customers the most reliable, effective and valuable maintenance services possible. BG Certified helps us prove that point. Ask your BG Distributor about BG Certified Service Advisor Training.